There are many people who want to come to Machu Picchu and if this is added to the people who were already and who want to return, will understand that there are “many” people who wish to be in Machu Picchu; And in case you did not know, there are two things more important than the others in a trip to Machu Picchu; If you are planning to travel to Machu Picchu soon, the first thing to do is to reserve Machu Picchu tickets and train tickets. There have been cases of people with tickets to enter the Inca city of Machu Picchu and no way to get there; Then, if you do not enter by train through the Sacred Valley of the Incas, the only way you will get to Machu Picchu is to walk the Inca trail for 4 days. How to book train tickets to Machu Picchu? 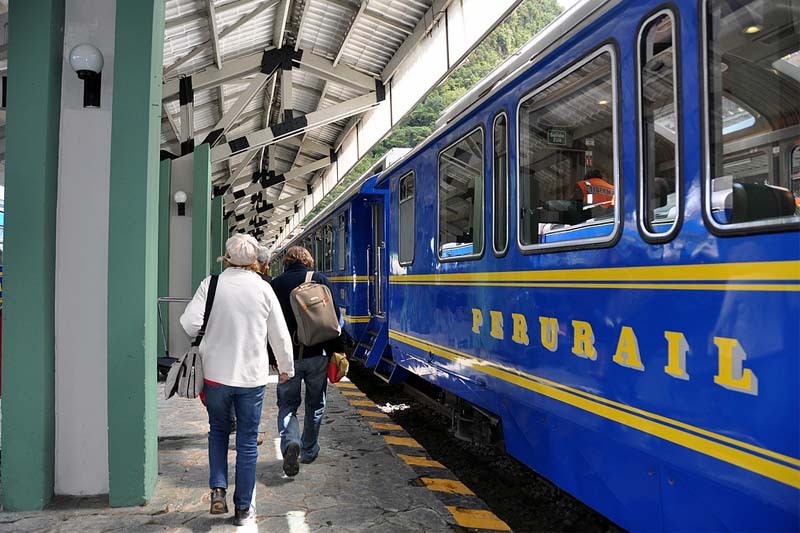 You can book the tickets through the web pages of the companies in charge of the train service to Machu Picchu. 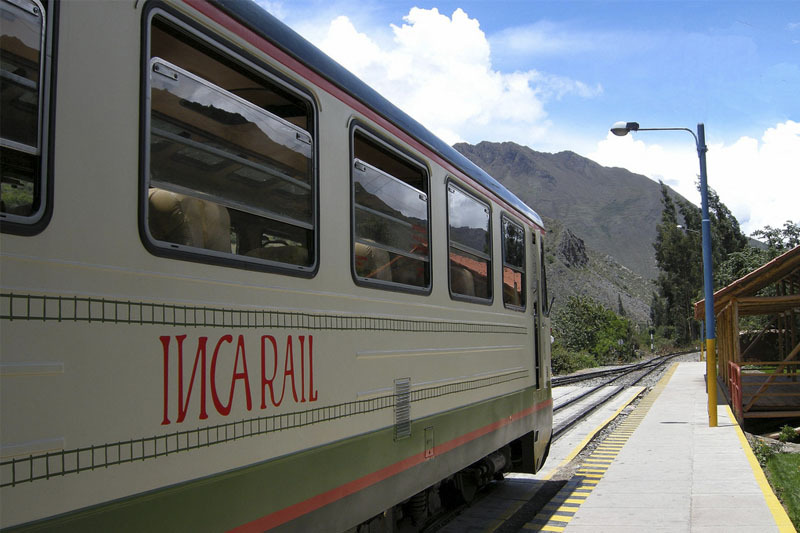 Peru Rail and Inca Rail are the authorized companies for the transfer of passengers to Machu Picchu and like the tickets Machu Picchu, the places available in the trains are very limited. If you prefer we can organize your entire trip to Machu Picchu, this will avoid having to deal with the meticulous organization that is needed for a trip to Machu Picchu. When to book train tickets to Machu Picchu? You should book train tickets immediately after booking Machu Picchu tickets, since if you do not come on an organized tour, this is the only way you can ensure your admission to the wonder of Machu Picchu. In addition, booking in advance will allow you to choose the service you like best and not have to buy (compulsory) the most expensive services. The high season in Machu Picchu (June, July, August) demands that Machu Picchu tickets and train tickets must be booked a few months in advance. Book tickets Machu Picchu; Keep in mind that ticket Machu Picchu that includes the mountain Huayna Picchu need at least 6 weeks in advance. Here you can find out how to buy Machu Picchu tickets. Remember that only 2,500 tickets are available to enter Machu Picchu. Book train tickets; Booking in advance will allow you to choose the service; The cheaper services often run out much earlier. Book plane tickets; Although this is very important, you will not be able to reserve them before knowing your date of entrance to Machu Picchu. But booking them in advance may allow you to get a discount on prices. Reserve your lodging; Although you can expect to arrive in Cusco to book your hotels in Cusco and / or Aguas Calientes, the high season (from June to August) demands that they also have to be reserved well in advance. Book a guide; This can wait for you when you arrive in Machu Picchu, but during peak season you also have to book it in advance. At the gateway to Machu Picchu you can find dozens of guides who are eager to guide you; However, a bad guide can ruin your trip to Machu Picchu. So if you want to ensure an insightful and fun guide, we recommend you book one with us. A “good guide service in Machu Picchu” can make your trip become the best cultural experience of your life. Book extra experiences; To get to Machu Picchu you must pass through the city of Cusco, and this offers great experiences. If you are already on your way to Machu Picchu, why not make the most of your time and enjoy excellent experiences in Cusco and the Sacred Valley of the Incas. These can be booked on arrival in Cusco, unless of course, during the high season. The detailed organization that needs the trip to Machu Picchu makes many people choose to book a complete tour to Machu Picchu; If it is your first time, this is your best option. If you would like us to arrange your trip to Machu Picchu, please contact us at info@boletomachupicchu.com. We have made thousands of people have the trip of a lifetime in Machu Picchu.